Stridex Maximum Pads have the highest level of acne-fighting medicine allowed (2% salicylic acid) without a prescription, and are recommended for cases of moderate acne. Maximum Pads contain effective skin cleansers that work to remove dirt, oil, sweat and other impurities from the surface of the skin, penetrate to unclog pores, and dissolve deep down oil. They even remove impurities that soaps and face washes leave behind…just look at the pad for proof. They also help prevent new pimples from forming. Each pad is specially textured for great cleansing with a great feel whether you want scrubbing or smooth, soft application. 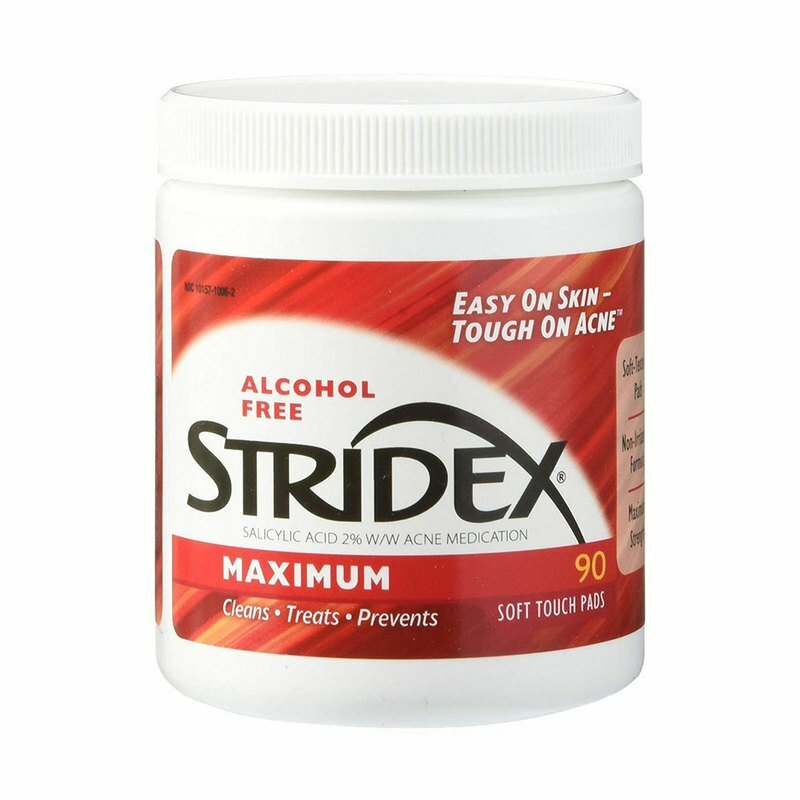 All Stridex pad formulas are completely alcohol-free, so you get proven acne-fighting effectiveness without the skin-irritating burn. The drying, irritating effects of alcohol on skin are well understood…years ago Stridex determined that alcohol was unnecessary in its pad formulations. Typical acne pads can contain 25-40% alcohol…the resulting redness and irritation can be a bigger nuisance than the problem you are trying to solve. Use after washing your face in the morning or during the day for a quick clean-up.